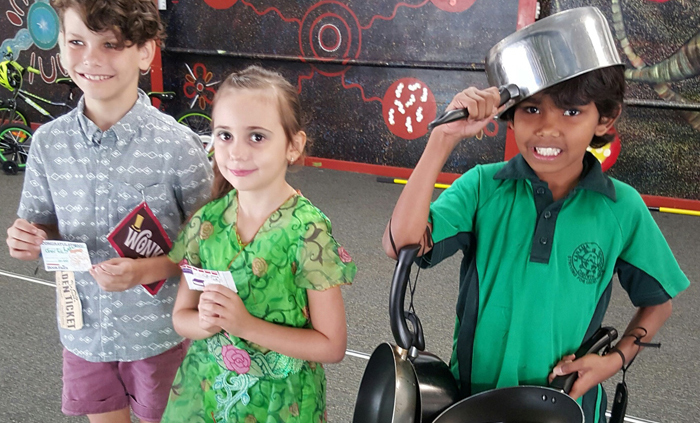 Costumed students at Karama Primary School were joined by fish, frogs and crocodiles during Book Week. 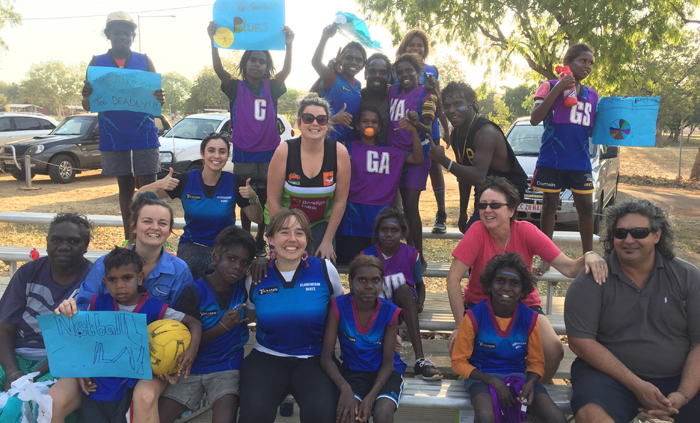 Netballers from remote Jilkminggan School totally overpowered their grand final rivals in a 20 to one goal drubbing, remarkable because the Roper River students had not even heard of netball before the competition. 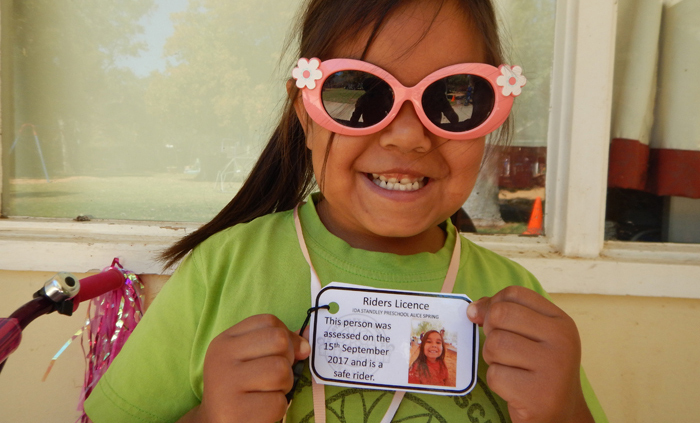 Preschooler Aaliyah Malcolm is smiling broadly after qualifying for her Riders Licence. The four-year-old Ida Standley Preschool student took to her bike to demonstrate her superior knowledge of road safety protocols. 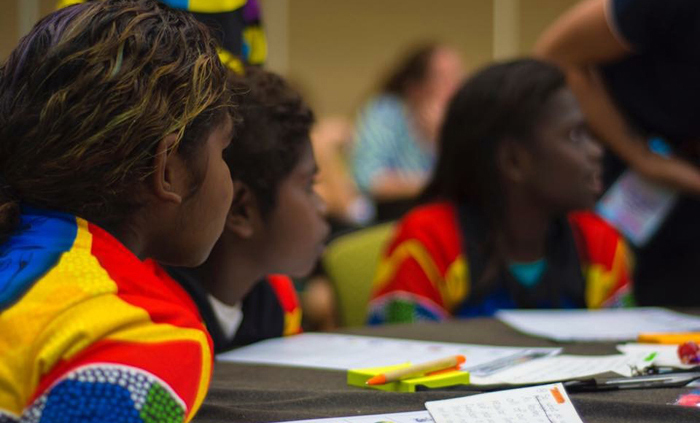 The Northern Territory Learning Commission in Katherine, comprising students, teachers and school leaders from six local schools, works to enhance students’ motivation and learning throughout the region. 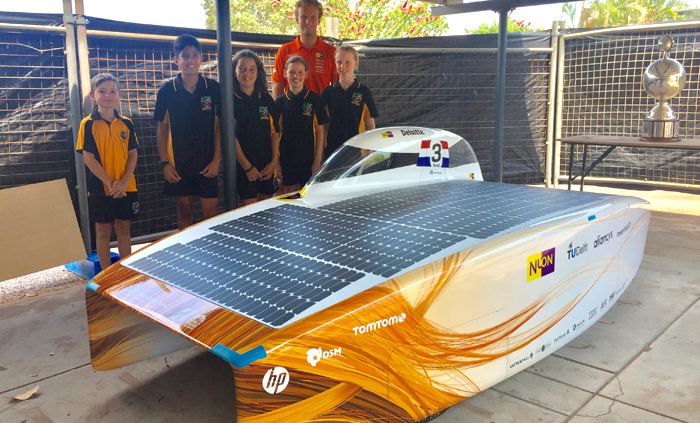 Nightcliff Primary School students have excitedly welcomed Netherlands solar car specialists and their sleek sun chaser, Nuna 9, an entrant in the next month's Bridgestone World Solar Car Challenge . 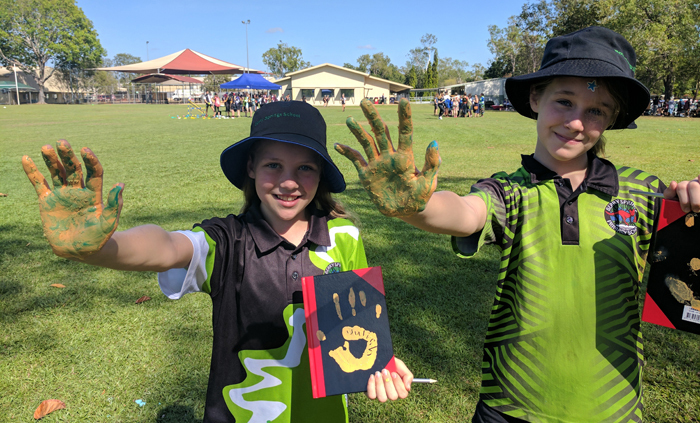 Northern Territory School of Distance Education students Brody Matthews and Hunter Torr have distinguished themselves in this year’s Australian History Competition. 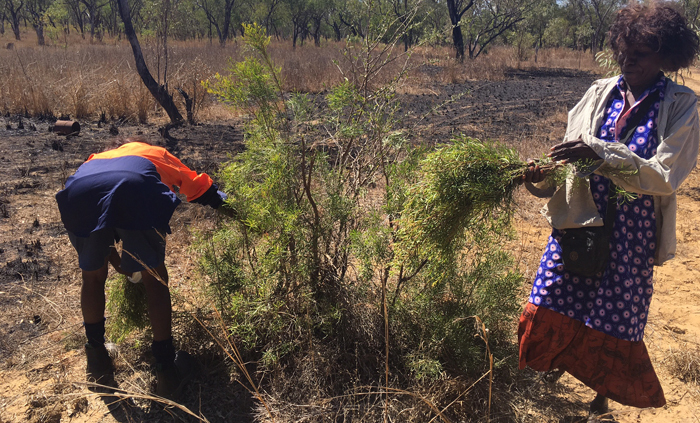 The Ngukurr Wi Stadi bla Kantri (We Study the Country) Research Team has collected the 2017 Eureka Prize for Innovation in Citizen Science, conferred by the Department of Industry, Innovation and Science. 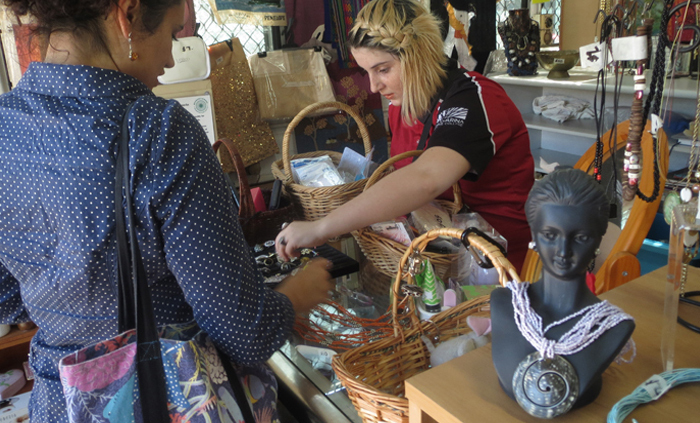 Rachael May, who is working to complete Certificate I in Retail, commenced work experience at Henbury School’s Opportunity Knocks Op Shop earlier this year. shop earlier this year. 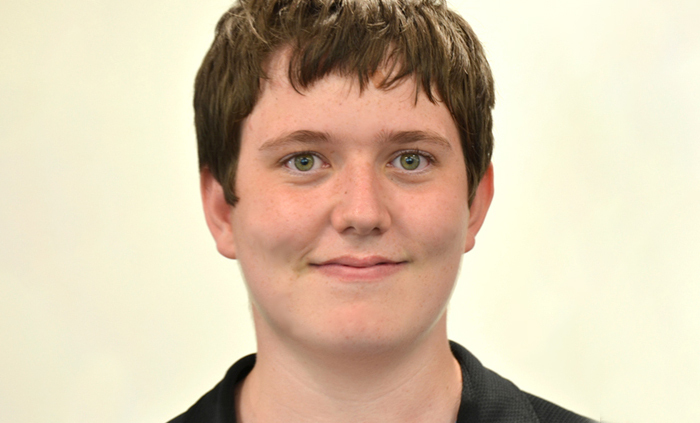 More than 400 aspiring journalists attended the inaugural Writers Big Day Out at Taminmin College. 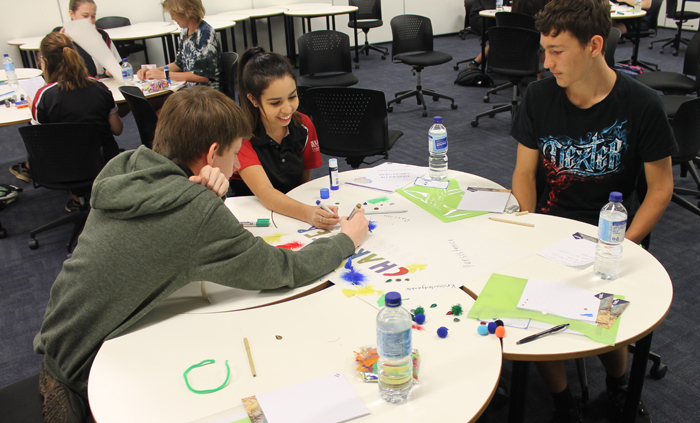 A program to facilitate cognitive, emotional and social growth, attracted 12 Charles Darwin University School Scholars to an introductory session at the university’s Casuarina campus.